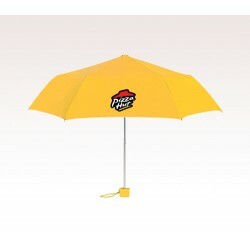 42 Inch Arc Personalized Vented Color Crown Umbrellas are made available in Orange, Lime Green, Royal Blue, Red, Yellow, Teal Blue and White: all over Black color combinations. 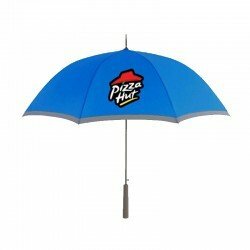 These custom fashion umbrellas will let you do a bold promotion that will grab the attention of people quickly. Automatic opening, rubberized matching sure grip handle and extra-strong Black metal shaft are other features that make these custom umbrellas impressive. 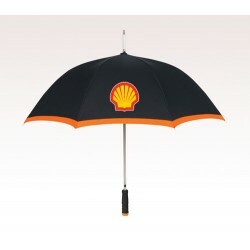 Exploit these umbrellas for your promotions and upgrade your brand image in style. Order these products now to gain free professional design and free online proofs facilities. Request a quote to know wholesale savings for these 42 Inch Arc Personalized Vented Color Crown Umbrellas.